A gorgeously rich 100g chocolate bar cloaked in a retro blue wrapper. This milk chocolate bar makes a perfect thank you gift for your page boys. 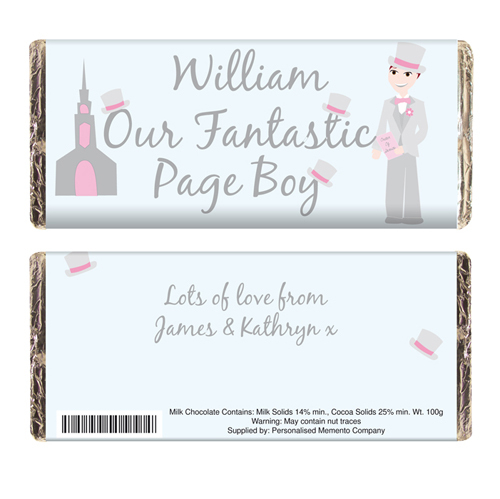 Personalise the front of the bar with any name up to 15 characters before the fixed wording 'Our Fantastic Page Boy'. Then personalise the back with your own message over two lines up to 30 characters per line. Personalise the back with your own message over two lines up to 30 characters per line.